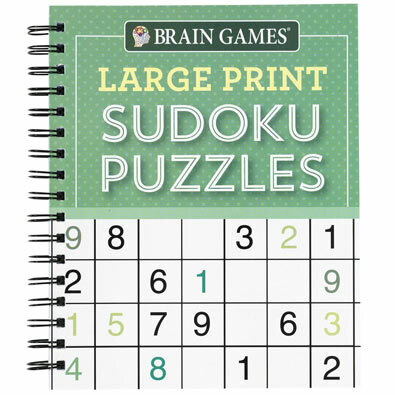 Give your brain a work out (but not your eyes) with these large print puzzle books! Each puzzle is spread out on one full page, providing an easy-to-see and simple-to-solve format. This book has 192 pages with over 80 puzzles along with answer keys. Spiral bound. Soft cover.